Africa’s east coast is blessed with a plethora of stunning islands, each one washed by the warm waters of the azure Indian Ocean. Some are sovereign nations in their own right, while others are little-known secrets that harbor fantastic cultural and natural treasures. Many are famous for their history; while still more are dedicated to ocean-themed adventure. In this article, we take a look at ten of the best Indian Ocean destinations that Africa has to offer. Located between the coast of Mozambique and the northernmost tip of Madagascar, the sovereign Comoros archipelago consists of three main islands - Grand Comore, Mohéli and Anjouan. A fourth island, Mayotte, currently remains under French rule. Comoros culture is shaped by Arab traders and explorers from Persia and Portugal; and by the French, who colonized the islands during the 19th century. Now independent (and famed for its political instability), Comoros is an off-the-beaten-track destination for those looking to escape the crowds and experience life at a slower pace. The islands boast pristine beaches, beautiful reefs and lush rainforests - as well as a fascinating blend of Arab and Swahili culture. The Republic of Mauritius is another archipelago comprising the islands of Mauritius, Rodrigues, Agaléga and St. Brandon. Mauritius also claims sovereignty over two other territories - the Chagos Archipelago (disputed by the UK), and Tromelin Island (disputed by France). It is a cultural melting pot, combining a heady mix of African, Indian and European influences. It is famous for its luxury beach resorts and stunning shores, and is renowned as a world-class destination for scuba diving and deep-sea fishing. Inland, the islands’ forests provide a habitat for several endemic mammal, bird and plant species. From sophisticated nightlife and five-star cuisine to remote beaches and sleepy fishing villages, there is something for everyone in Mauritius. 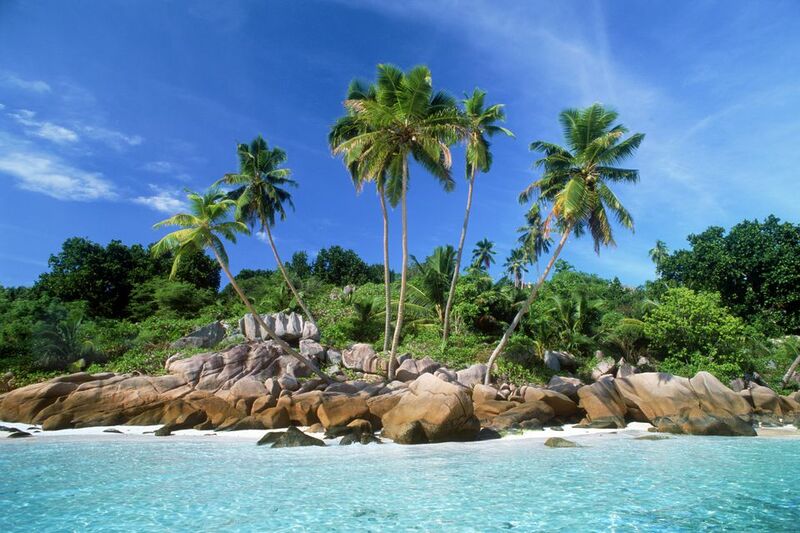 Situated 930 miles/ 1, 500 kilometers east of Kenya, the Seychelles archipelago comprises 115 paradise islands. It has the smallest population of any sovereign African country, and is known for being fantastically uncrowded. Visitors are drawn primarily by the islands’ idyllic white sand beaches and aquamarine waters, the latter of which offer excellent diving and snorkeling. The islands themselves are also full of rare wildlife, ranging from pelagic seabirds to the vulnerable Aldabra giant tortoise. Seychelles cuisine is another highlight, taking its inspiration from generations of African, Asian and European settlers. A proliferation of luxury resorts makes the Seychelles a favorite choice for honeymooning couples. Located off the coast of Mozambique, Madagascar is a land of superlatives. It’s the world’s fourth-largest island, and is fringed by the world’s third-largest coral reef system. Its flora and fauna is so unique that the island is often referred to as the eighth continent - and indeed, up to 90% of Madagascar’s wildlife is found nowhere else on Earth. Its national parks provide ample opportunity to come face to face with these strange creatures, the most famous of which are undoubtedly the lemurs. Birding is especially rewarding here. Madagascar’s many habitats range from lush rainforests to alien limestone karsts, avenues of giant baobabs and stunning, isolated islets. Top activities include scuba diving, deep-sea fishing, hiking and whale-watching. Officially known as Unguja, Zanzibar is the largest island in the Zanzibar Archipelago. The archipelago is a semi-autonomous region belonging to Tanzania. It is steeped in trade route history, and once played a key role in the movement of slaves, spices, ivory and gold between the Arabian peninsula and the African mainland. Today, the island is predominantly Muslim, and Arabic influences are evident everywhere - especially in the architecture of historic Stone Town. Perhaps busier and more geared towards budget travelers than many of the other islands on this list, Zanzibar is famous for its history, its spices and its beautiful beaches. It also has a bustling nightlife scene and excellent opportunities for diving and snorkeling. Pemba is located approximately 30 miles/ 50 kilometers north of Unguja (see previous slide), and is also part of the Zanzibar Archipelago. It is greener, hillier and more fertile than its southerly cousin, and sees far fewer visitors. Pemba’s untouched coves and mangrove lagoons make it a good choice for wildlife enthusiasts hoping to get off the beaten track, while the plunging drop-offs of the Pemba Channel make this island a top destination for experienced scuba divers. Expect large shoals of pelagic fish in addition to bucket list species ranging from Napoleon wrasse to giant green sea turtles. Great clove plantations add a fragrance to the air and establish Pemba’s reputation as one of the Tanzanian Spice Islands. Also part of the Zanzibar Archipelago, Mafia Island is located south of Unguja and governed entirely from the Tanzanian mainland. For many years, the island was visited only very infrequently by overseas visitors, and it remains relatively undeveloped today with only a handful of upmarket accommodation options. Its laid-back pace and the absence of mass tourism contribute greatly to its attraction. Mafia is a mecca for deep-sea fishermen, and for scuba divers wishing to explore the protected reefs of the Mafia Island Marine Park. The beaches on the east coast are popular breeding sites for green and hawksbill turtles, while whale sharks aggregate in Mafia's waters between November and February. Located just off the Mozambique coast near the mainland town of Vilanculos, the Bazaruto Archipelago comprises six individual islands. The best-known of these are probably Benguerra Island, Bazaruto Island and Santa Carolina, often dubbed Paradise Island for its stunning beaches and close-to-shore reefs. The archipelago has enjoyed National Park status since 1971, and as such it is a haven for wildlife. It is especially famous for its population of endangered dugongs, and between June and November humpback whales travel through the archipelago on their annual migration. It’s one of the best island birding destinations in Southern Africa, while a number of luxury lodges make this the ultimate romantic getaway. Off the coast of northern Mozambique lies the breathtaking Quirimbas Archipelago, a collection of approximately 32 picture-perfect islands including Quirimba, Ibo, Matemo and Vamizi. Once esteemed as important trading posts for first the Arabs and then the Portuguese, the archipelago is now largely inhabited by artisanal fishing communities. The Quirimbas National Park protects the southern section of the archipelago, and the reefs here are especially popular with visiting scuba divers. Game fishing is another favorite pastime, and there are several luxury resorts - all of which have created their own secluded section of paradise. Those interested in culture should check out Ibo Island’s crumbling 16th-century ruins. Part of Kenya’s northern Lamu Archipelago, Lamu Island is a stronghold of Islamic and Swahili culture. Many visitors travel to the island to explore the winding alleyways of Lamu Old Town, a UNESCO-protected settlement believed to be the oldest and best-preserved Swahili town in East Africa. There are no paved roads here and no cars - instead, donkey carts and dhow ships provide the main methods of transport. In addition to its rich culture, Lamu offers scuba diving, sailing and swimming with dolphins. Daytrips to the 9th-century ruins on nearby Manda Island are also worthwhile. It is important to note that although current travel warnings advise against travel to Lamu County, Lamu and Manda islands are still considered safe.